When Kevin and I first started dating and we were spending all our time together getting to know each other, we of course did the 20 questions of our likes and dislikes. I made a huge mistake in one of these conversations by telling him that I didn't like getting flowers. I barely even remember telling him this but I know what I meant is that I wasn't one of those girls that needed flowers all the time. Now I NEVER get flowers and after almost ten years of marriage I can probably count on both my hands the number of times I've gotten flowers. The thing is though that Kevin pays an amazing amount of attention to detail when I do get them. They always include my favorite flowers (lilies) in the colors I love. 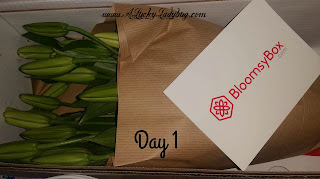 When Bloomsy Box gave me the opportunity to review their monthly flower delivery, I figured it was perfect timing with all the holiday entertaining! What's special about this brand that you won't find with your other typical flower delivery brands, is that their flowers are grown on the side of a volcano, literally. 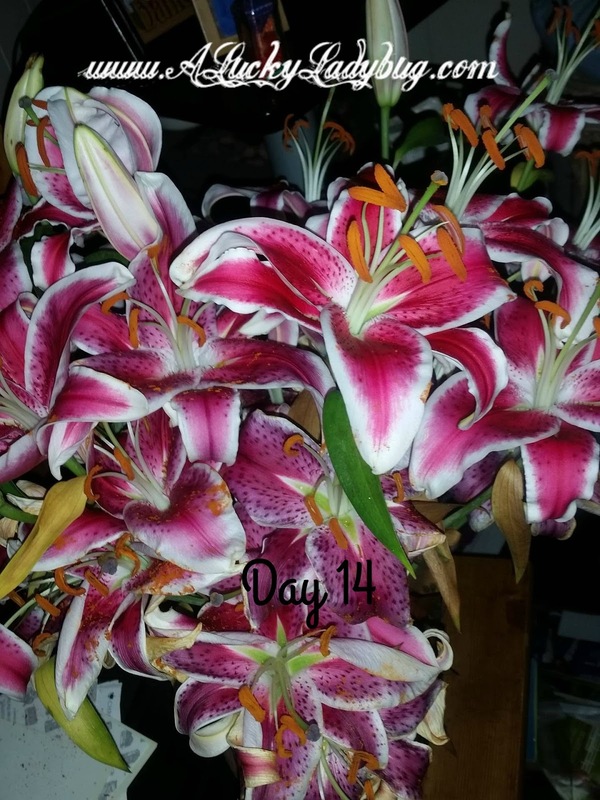 They don't "mixed bouquets with unnecessary extras – BloomsyBox only deals in "single-variety"- hand-tied bunches; second, the flowers are sourced direct from suppliers in South America, Holland, Thailand and California meaning no middle-man mark-up to increase the price.". 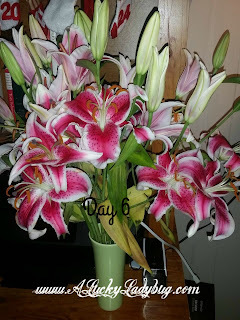 As luck would have it, I was sent over a beautiful bouquet of LILIES!! When mine arrived it had a whopping 43 buds, none of which were bloomed yet so I knew I was getting the freshest set to display in my home. This bouquet was beautifully fresh and perfect for the holiday season. After a whopping 2 weeks this finally started wilting and only a few of the lilies. As you can see there are still some buds going strong which is amazing! Most bouquets barely last a few days when I've ordered them in the past. It would be lovely to get flowers every month, especially in the winter when my garden is sleeping. Ugh, I made the same mistake Randi. I just hated seeing them die, but now I would love to have someone surprise me with a bouquet once in a while. 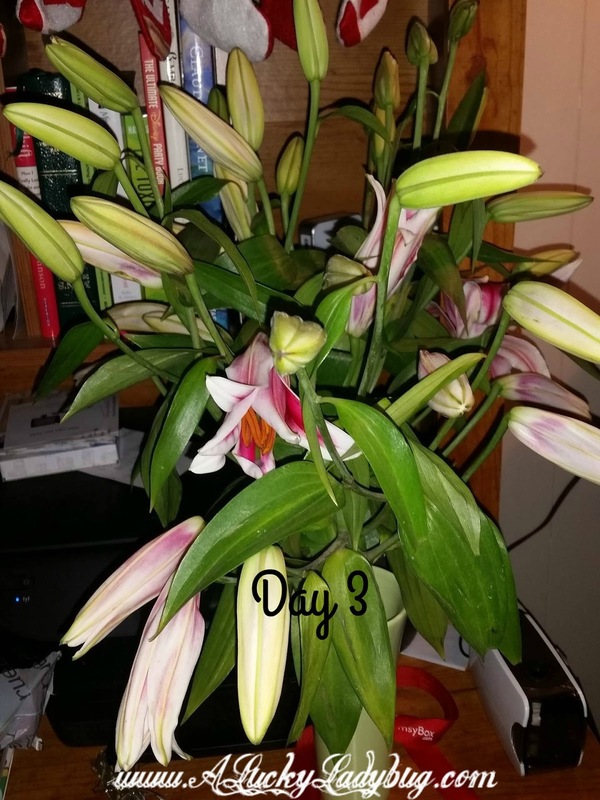 Your photos of the lilies you received in the Bloomsy Box look amazing. We've had snow 3 times this week and I could use some beautiful flowers to brighten my day.